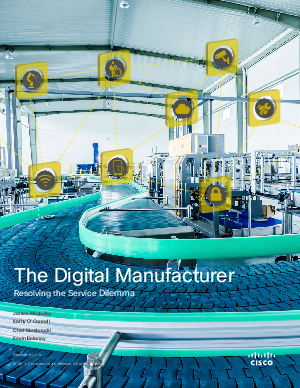 To better understand the service dilemma and the role of digitization within the manufacturing industry, Cisco initiated a comprehensive research study. We surveyed more than 600 senior manufacturing decision-makers in 13 countries,* from a range of manufacturingrelated segments, along with conducting qualitative interviews with key industry thought leaders, in-depth secondary research, and economic analysis. To explore the business and organizational implications of connected machines in particular, we surveyed both industrial machine manufacturers and “end-user” manufacturers.